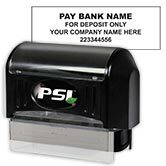 Cut back on those repetitive office tasks with a convenient pre-inked stock stamp. 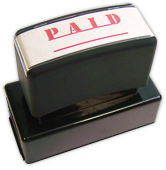 This high quality item lets you mark checks and other documents as void in a flash. It will also give you as many as 25-thousand crisp and clean impressions. That means you may never need an ink refill! 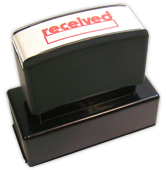 Your new Void Stamp from CheckAdvantage is such an excellent time-saver, you'll want to order all 15 of our convenient stock stamps. 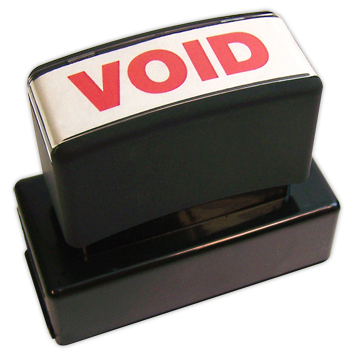 Get your own Void Stamp right now and discover newfound efficiency for yourself!